Celebrate the joy of Singapore’s Golden Jubilee with Science Centre Singapore from 7 to 10 August 2015! If you are born in Singapore, you would surely have fond memories of visiting the Science Centre during your schooling days! Now this is the perfect time to bring your children down to show them the awesomeness of Science in a super fun way! 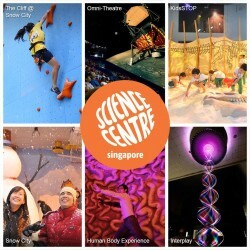 As part of our nation’s SG50 celebrations, Science Centre Singapore (SCS) will be providing free general admission from 7 to 10 August 2015 to all Singapore citizens.